Home Miss World Philippines Catriona Gray : "In the Dark at the Moment"
Catriona Gray : "In the Dark at the Moment"
Anyone in pageant community knows that a reigning queen's final responsibility is to crown her successor at the end of her reign. But will Catriona Gray be denied the opportunity to crown her successor at the end of her reign? 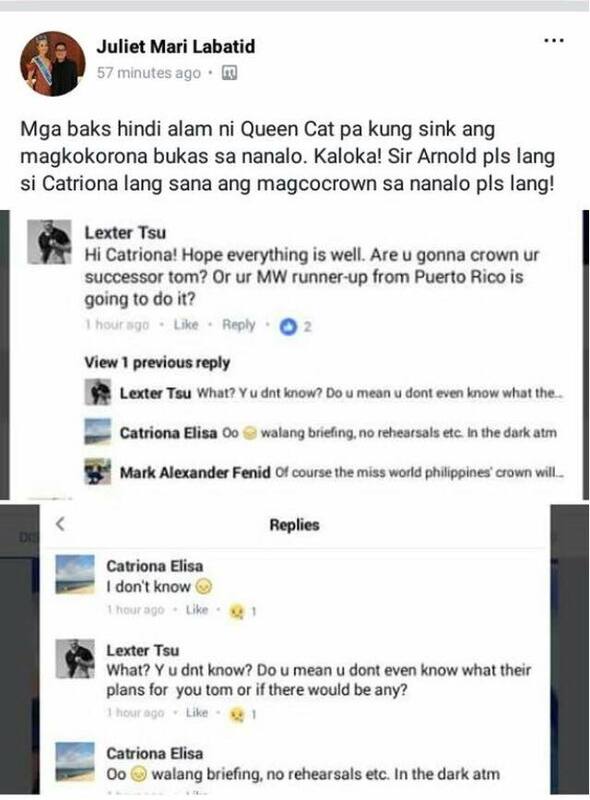 Pageant enthusiasts were surprised and disappointed when a screenshot of Catriona's conversation with a fan is now making rounds online. The screenshots posted by Juliet Mari Labitad garnered different reactions and comments from netizens. Lexter: Are you gonna crown your successor tomorrow? Lexter: What? Why you don't know? Do you mean you don't even know what their plans for you tomorrow or if there would be any?
" Oo, walang briefing, no rehearsals etc. 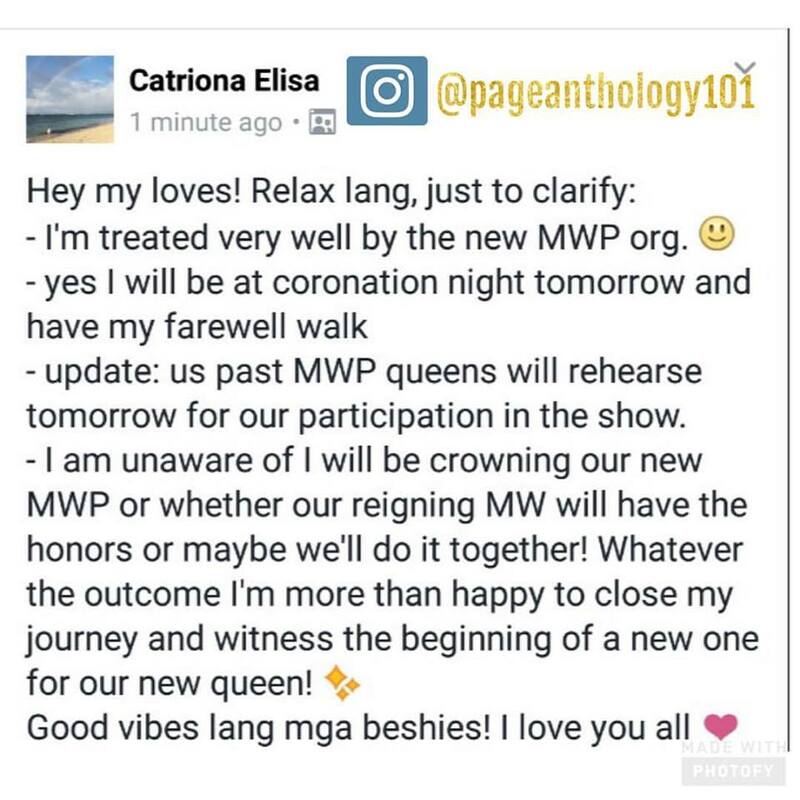 In the dark at the moment"
Catriona Gray revealed that as of the moment she's still awaiting from the organization for the briefing or rehearsals for tomorrow's event. Well, we hope everything will be alright on this matter. A queen always crowns and sashes her successor and takes her final walk. And I think the Miss World Philippines Organization won't allow anyone from Catriona to crown the new Queen. Nobody else can do that; nobody else should do that. 35 lovely and empowered women with their own advocacies are vying for Miss World-Philippines 2017 at the Mall of Asia Arena tomorrow September 3, 2017, to be aired live by GMA 7.